Thomas Edison, when asked about his repeated failures while inventing the light bulb, famously stated that he’d found 10,000 ways that didn’t work. Identifying a hallmark is kind of like that. Sometimes you must just keep eliminating possibilities until you find the one silversmith that could be the true artist. 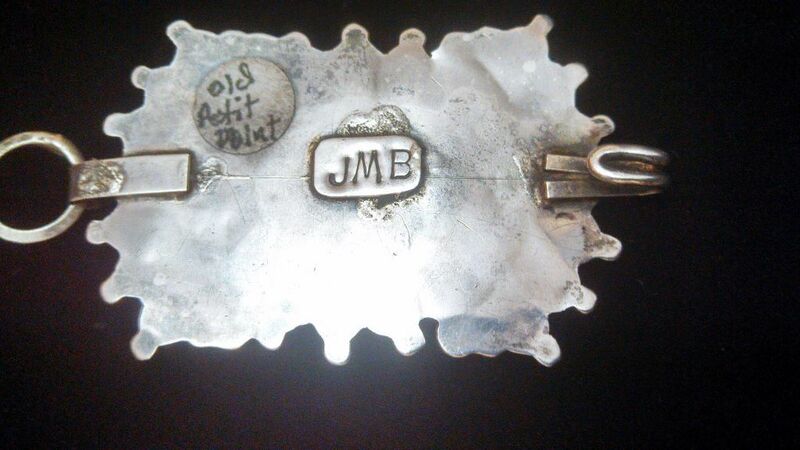 I recently had a request to help identify the maker of a petit point concho belt that was hallmarked “JMB”. 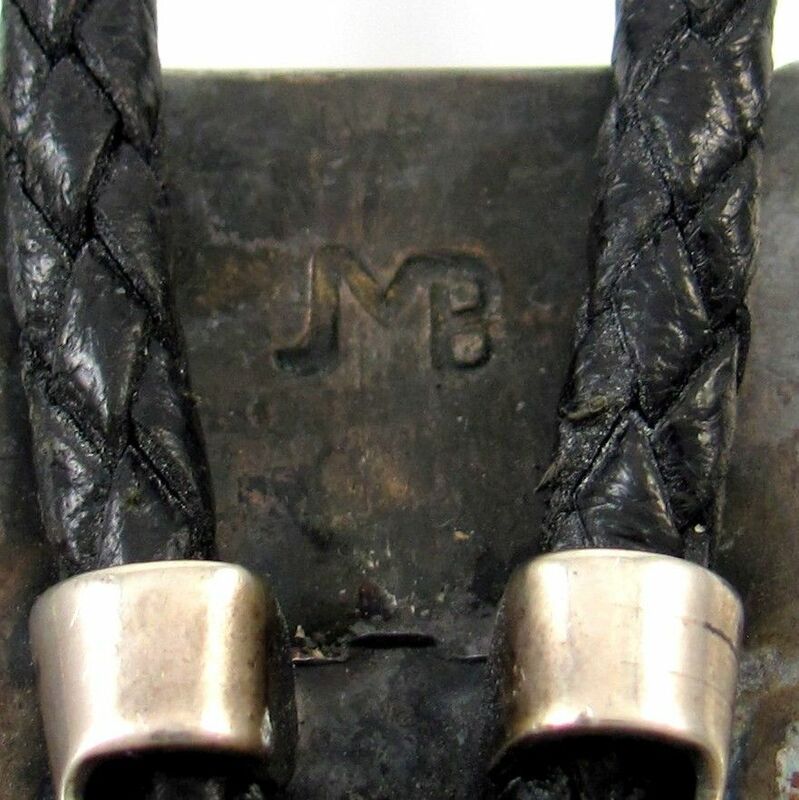 If you look in many of the hallmark reference books, the initials “JMB” were used by Navajo artist Johnny Mike Begay, brother of world famous silversmith Kenneth Begay of Scottsdale’s legendary White Hogan shop. Upon researching several reputable sources covering Johnny Mike Begay’s scope of work, I would say that this concho belt was not likely to have been made by him. Comparing the hallmarks themselves showed that the concho belt artist used all capital letters that were not joined, and that the initials were stamped onto a separate plate of silver which was soldered to the back of the belt buckle. 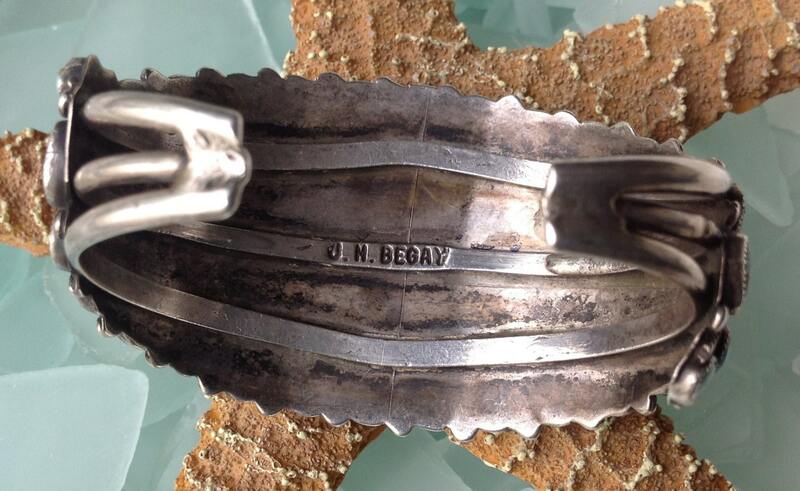 Johnny Mike Begay used several variations of his initials, but none of them looked like the mark on the concho belt. Beyond the hallmark, it is vital to compare the style of jewelry. This is where most hallmark resources fall short – they don’t have photos of the jewelry itself! When we’re sleuthing for the artist of a particular piece, we can almost always eliminate a possible artist based on the style of the jewelry. If you compare Johnny Mike Begay’s design style , it’s so vastly different than petit point, I would be doubtful that he’d made this particular concho belt. So, what does this mean to me as I search for the concho belt artist? It means that I can eliminate one, and keep searching! If you know who JMB of petit point fame is, let me know. If you have a similar piece of jewelry with this same mark, I’d love to see a picture! 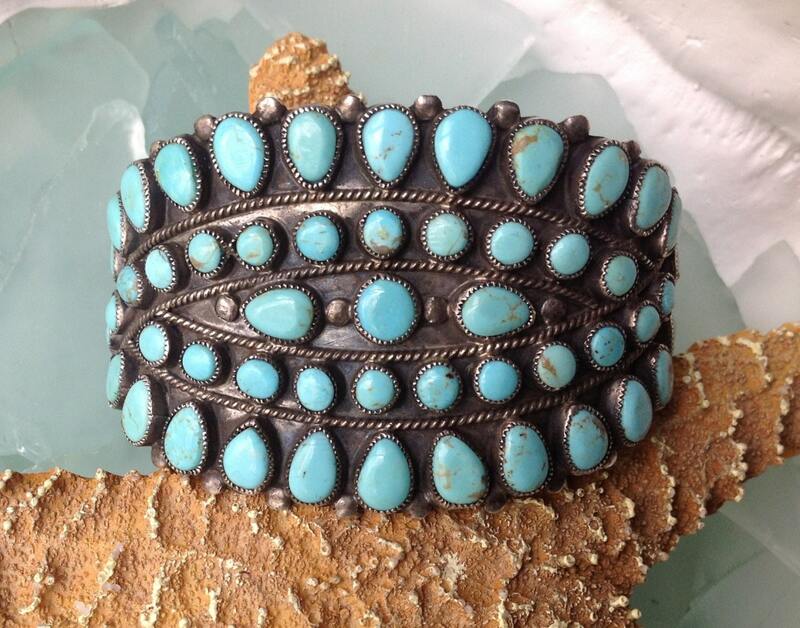 This entry was posted in Blog, Talkin' Hallmarks and tagged Native American Hallmarks. We haven’t yet, but several more photos have come in with the same hallmark and style. I would love to add a photo of your jewelry to our file, if you’d like to send me one. Thanks! I have cross referenced information on this and I really believe it is Johnny Mike Begay’s work. I can send a picture I found from and etsy shop as well as my piece that has the JMB hallmark you are wondering about. I think he did many styles, which makes it easy to not assume it is him. The Etsy one is signed J.M.Begay, the back has a line going across the silver sheet. It goes from 12 o’clock to 6 o’clock. Mine has that exact same feature, mine also has has the same type of rope work as well as the small hand serrated bezel work. The entire thing seems similar in construction. https://img0.etsystatic.com/015/1/6857727/il_fullxfull.450079836_6z1k.jpg < Etsy shop front, similar rope and bezels as mine. https://img1.etsystatic.com/014/0/6857727/il_fullxfull.450085643_kkse.jpg < back, contains similar construction and the line mine also has. I have a petit point ring which is signed JM Begay. I’ll email you a pic. 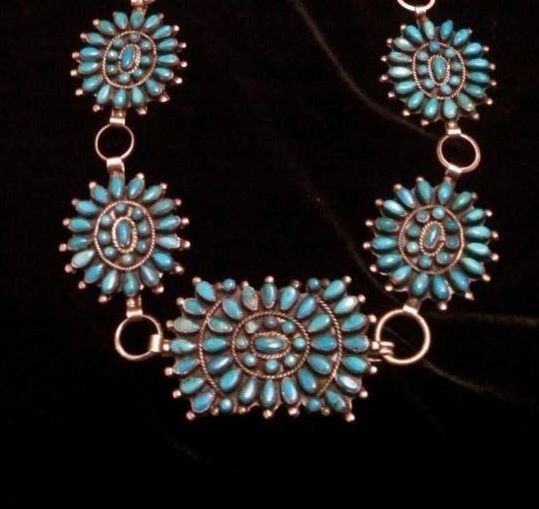 Do you have any jewelry by Johnny Mike Begay? He was my dad and I am just trying to see where I can buy some of his jewelry.